Are you going to Walt Disney World in 2019? Would you like to know what you can expect from the crowds? Are you trying to determine the best time to head to Walt Disney World in 2019? 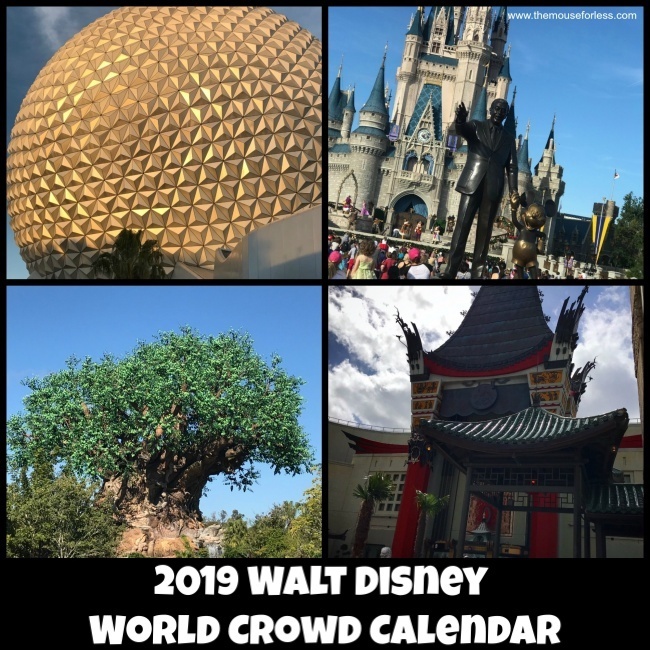 Then take a look at our Walt Disney World Crowd Calendar for 2019. Our crowd calendar will help you prepare and make the best decisions for planning the dates of your magical Disney vacation. While days with heavier crowds may occur, this crowd calendar will give you a traditional idea of what you can expect. In addition, our full Walt Disney World crowd calendar is available via PDF format here. The beginning of January begins super busy with the New Year quickly followed by Marathon Weekend. Thousands of runners show up during this time to run 1 to 4 races. It takes until the week after the marathon for the crowds to thin out. Next, Martin Luther King Day is a holiday where many visit the parks due to kids having time off from school and businesses having Monday off. By the end of the month; however, crowds will have lightened. The month of February begins with lower crowds. February is a great time to go as the weather is nice and crowds are typically lower than average. February doesn’t normally get busy until President’s Day Weekend. President’s Day, like Martin Luther King Day in January, causes crowds to increase due to longer school breaks. President’s Day Weekend usually carries into Princess Half Marathon crowds. Although these aren’t nearly as large as the Marathon Weekend crowds in January, they still increase park crowds. March begins with moderate crowds before the spring break crowds start. The second week of March typically starts to show an increase in crowds as spring break begins around the US, and Mardi Gras also does sometimes cause an increase in typical crowd sizes. The end of the month continues to remain busy with spring break crowds. Don’t shy away from this time of the year though as the weather is enjoyable and the parks are beautiful with spring flowers blooming. 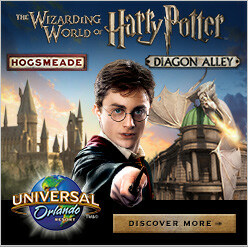 Above all, make sure to plan your vacation and use FastPass+ to manage the crowds. The month of April will start with bigger crowds due to spring break crowds. The Star Wars Half Marathon will occur during the beginning half of the month this year, due to a late Easter. Like Princess, this doesn’t draw as many runners as the marathon in January, but it does increase crowd levels on race days slightly. Crowds will build as Easter approaches. However, after a month of substantial spring break and Easter crowds, April will wrap up with moderate to lighter crowds as temperatures warm. The beginning of May is a great time to visit the parks as crowds are on the low end. With schools wrapping up, few families take vacations during this time of the year, making crowd levels low. As the month continues, crowds will increase as schools finish their year. Memorial Day Weekend will be a higher level crowd time due to extra time off from work and schools. June starts the summer months of crowds where you can expect moderate to heavy crowds most days. Although this may seem like a time to avoid visiting, with a good plan, you can manage the masses, making June a good summer month option. With the 4th of July, this month starts with higher crowds. The most intense summer crowds occur around the 4th of July celebration. Following the holiday, crowds are heavy to moderate throughout the month. Like with June, although this may seem like a time to avoid visiting, with a good plan, you can manage the crowds. August starts with the typical summer crowds, however, as the month continues the crowds lessen due to schools starting. The month ends very heavy, however, due to the coupling of the opening of Star Wars: Galaxy’s Edge and the Labor Day Weekend beginning. With the combination of the opening weekend of Star Wars: Galaxy’s Edge and Labor Day, crowds are expected to be at peak levels. From there, things will likely remain heavy/moderate for the remainder of the month, resort-wide, with of course, large crowds at Disney’s Hollywood Studios. Weekends will likely be heavy, due to the combination of Guests wishing to see Star Wars: Galaxy’s Edge and the Epcot Food and Wine Festival. With both the Epcot Food and Wine Festival and Jersey Days early in the month and Thanksgiving later in the month, November sees heavier crowds. Add in the holiday decorations and parties starting earlier each year, as well as Guests flocking to see Star Wars: Galaxy’s Edge, this month keeps more moderate crowds overall. Like in the summer months don’t let this keep you from enjoying the magic. Plan and be prepared and the crowds won’t bother you anyway. December has quickly become one of the busiest times at Walt Disney World. More and more people want to experience Walt Disney World during the holidays, and who can blame them, but this has lead to an increase in park crowds. It is important during this time of year to have a plan, allowing you to truly enjoy the magic of the holidays at Walt Disney World, especially with Star Wars: Galaxy’s Edge enjoying its first holiday season crowds. Above all, it’s always a great time to visit the Walt Disney World Resort no matter what time of the year it is, as the magic never stops. When you visit Walt Disney World, make sure to use your MyDisneyExperience to help make the most of your trip. 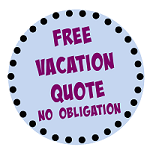 For assistance booking your Walt Disney World vacation, call your travel agent, or contact The Magic For Less Travel at (888) 330-6201.